Since discovering the Moringa Oleifera (Moringa Tree) and it’s benefits, we have wanted to share this amazing gift and experiential knowledge with others. We distribute High Quality, organically grown South African Moringa Products from The Moringa Tree. We grow and manufacture our own Moringa products. Moringa Oleifera is a fast-growing, hardy pioneer tree that grows well in degraded soil, plus it is also a legume – meaning it fixes nitrogen into the soil from gas it captures in the air. This means that Moringa Oleifera (The Moringa Tree) is a fertilizer tree and an excellent companion for other plants growing nearby, as they benefit from the nitrogen. The freshly picked Moringa Leaves are dried for Moringa Capsules and Moringa Powder. Our Ultimate Goal at Firwood is to raise the awareness of individuals & families to the multitude of Moringa health benefits from the Moringa Tree and helping all to live a more healthy life by making conscious decisions about their health, placing the power firmly in the hands of individuals & families. Moringa Oleifera contains Antioxidants, a high concentration of Vitamins and Minerals, a bounty of Amino Acids including all of the 8 Essentials. Not forgetting the Omega Oils 3,6 and 9 and the benefit of Moringa on weight loss as well as being used to combat malnutrition. 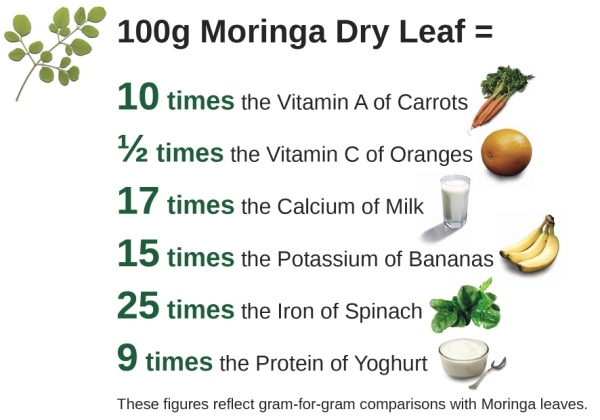 We hope that you will also come to enjoy the enormous benefits that Moringa can have in your life. Moringa Oleifera is more than just a food, multi-vitamin or supplement. Moringa Oleifera is truly a Miracle Tree!